When I went to Egypt on posting in 1989 I did not know I would discover an entire history of architecture I was not aware of. In Europe we hear of the great Cathedrals built at the end of the Middle-Ages, intricate monuments of stone built to inspire Faith and glorify God. There is much imagery in stone in those Cathedrals, originally all painted in vibrant colours, it was done on purpose, few knew how to read or write, so how do you tell Bible stories, you have to illustrate them in some fashion and it has to be done in such a way as to be instantly recognizable to all looking at the narrative depicted in stone. Thus we have today those magnificent monuments all over Europe. In the Orthodox Christian Church it is the same story though the architecture is very different. The Hagia Sophia (Holy Wisdom) in Constantinople/Istanbul was modelled on the Pantheon of Rome with it’s great dome. But in all cases Christian Churches used the model of the Roman Basilica, originally a place of business in Antiquity, where you met your lawyer or notary or your business partner to transact contracts or get a loan. Today a Basilica is a place of Christian worship and nothing else. Like the Jews, Muslims take this Commandment very seriously, so how do you decorate your place of worship, after all a Mosque like a Synagogue or a Church is a place of worship. The fall back position was to illustrate the greatness of God the Father, YHWH or (Allah), but how to do it then? The Arabs had a great knowledge of astronomy, geometry and mathematics, this knowledge was virtually non existent in Europe or forgotten in large part with the decline of the Roman Empire in the West as of the 6th Century. 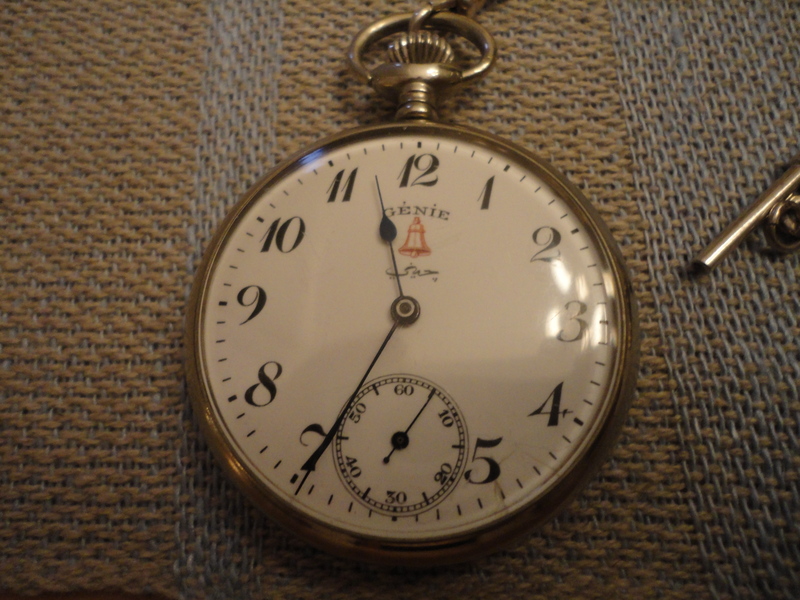 In fact the numerals we use today 1,2,3,4,5,6,7,8,9 and the concept of 0 comes from the Arabs. 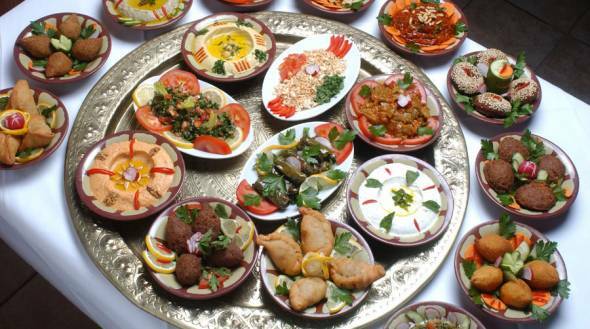 The Arabs also had important contact and cultural exchanges with Persia and what is today India. This allowed them to develop a style of Architecture which would be much admired by the Crusaders and then copied in some fashion in Christian Churches in Europe. 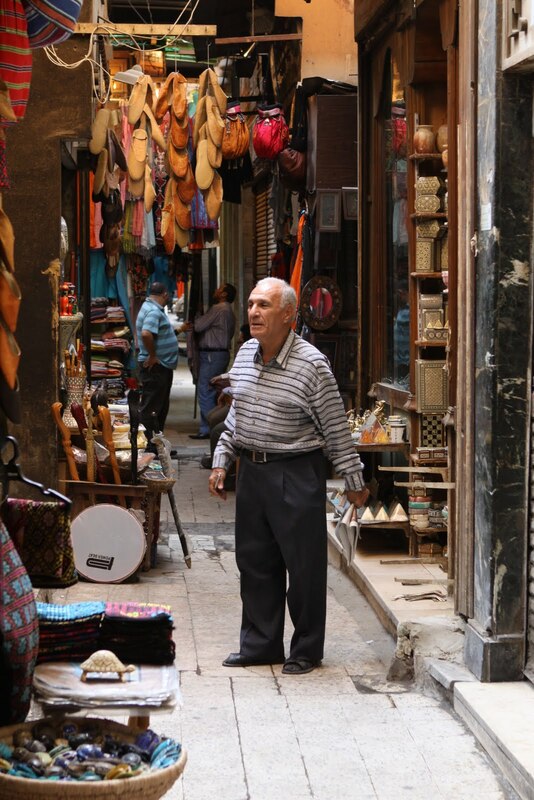 I took great deal of pleasure visiting the numerous mosques of Cairo which are between 800 to 1300 years old. 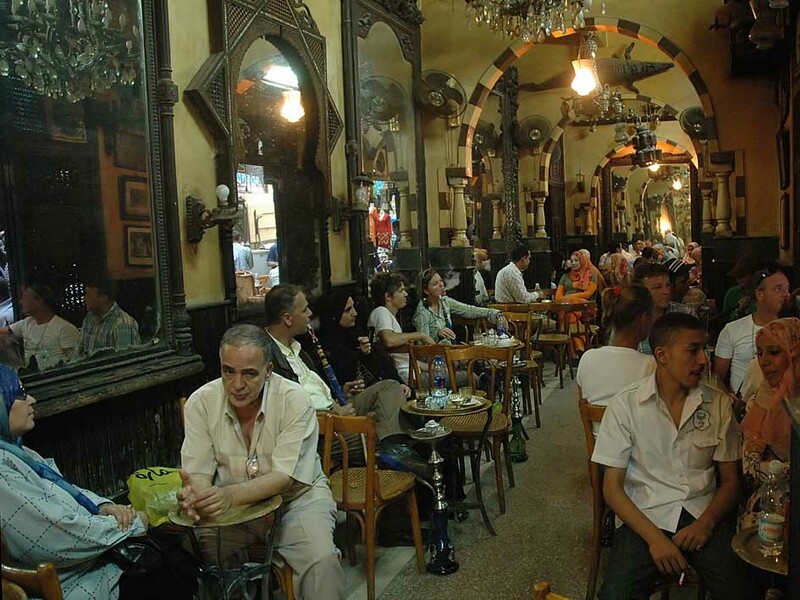 They reflect the style of architecture of the ruler of Egypt at the time. 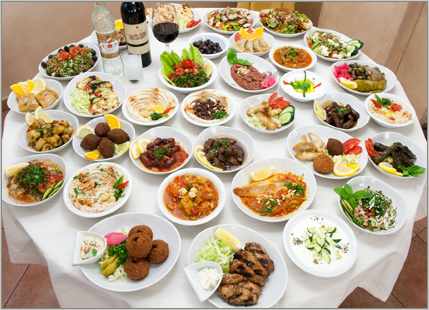 The great Arab dynasties are all represented, Umayyad (661-750 AD), Abbasid (750-1258 AD),Fatimid (910-1171 AD), Ayubid (1174-1250 AD) Mamluk (1250-1517 AD), Ottoman Turk (1517-1923). The Capitals of those Empires where either Baghdad, Damascus or Istanbul, meaning that many rulers came from outside Egypt. One day at work I was walking by the Library, I quickly discovered a book in a rubbish bin at the Embassy, from time to time a clean up would be made of books no longer considered worth keeping and they would be thrown out or given out. The book I discovered was a classic, I do not know if it is still available today but if you find it, please read it, an eye opener on early Muslim architecture by K.A.C. Creswell, C.B.E. 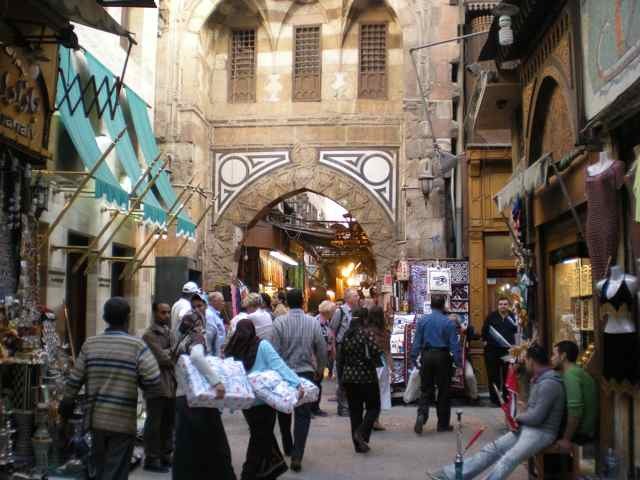 who ended is illustrious career as Chair of Muslim Architecture at the American University in Cairo. 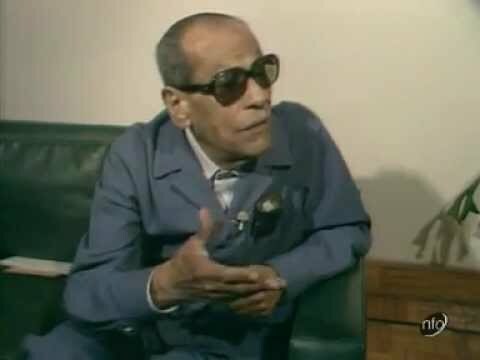 He was also the founder of the Institute of Muslim Art and Archeology at the Egyptian University in 1931, a post he occupied until the Egyptian revolution which overthrew the Monarchy. 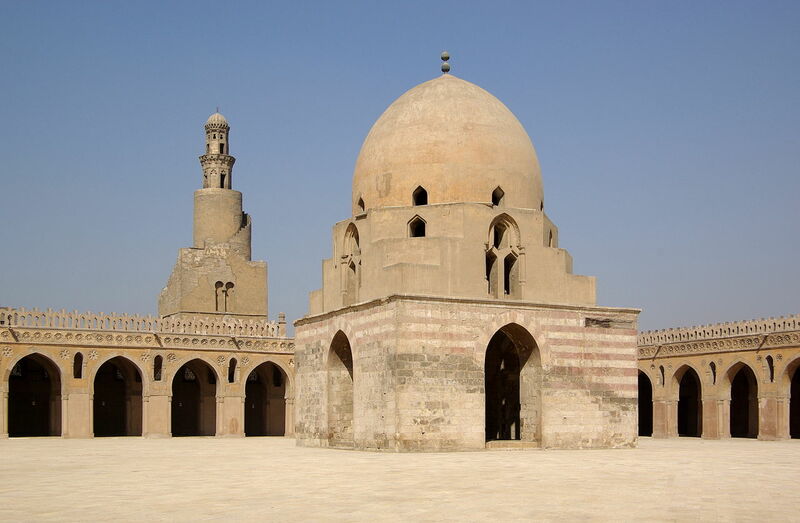 My favorite in Cairo was the Mosque of Ahmad Ibn Tulun, East of the Citadel. Ahmad Ibn Tulun was the son of a Turkic Slave who worked for the Sultan Al-Mamun. Ibn Tulun was born in 835 AD in Samarra, a city between Tikrit and Baghdad in Irak. 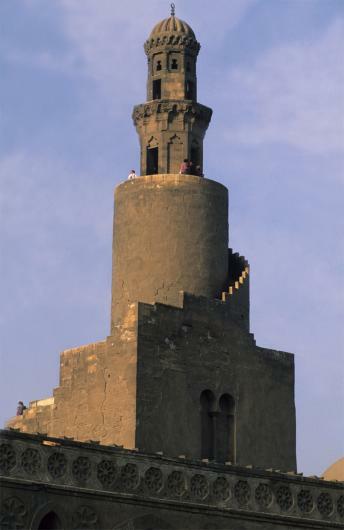 Samarra is a UNESCO protected site. 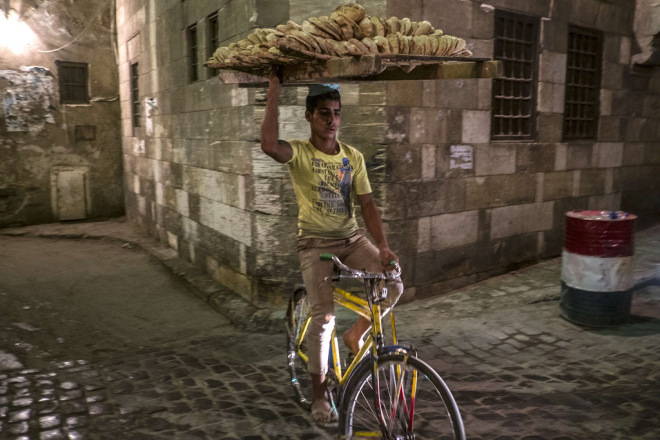 He received an excellent education despite his very humble origin and was appointed by the Sultan, Governor of Cairo or Fustat as it was then known. 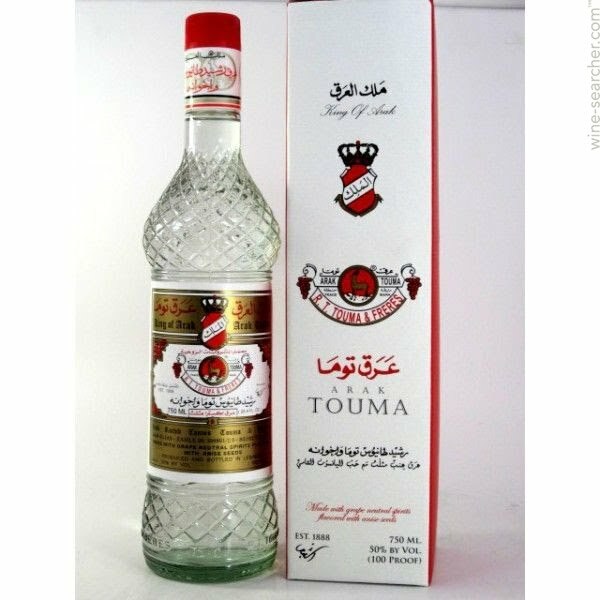 Upon arrival in Fustat which is today only a suburb of greater Cairo, he established himself in a new neighbourhood bound to the East by the Citadel and to the North and West by an area which runs from the Citadel to Sayyida Zaynab and to the South by the great Aqueduct, also built on the orders of Ibn Tulun. He built a great palace with 9 gates of which nothing remains today and a Polo field which is the Maydan today just below the Citadel. The mosque is the work of a Christian Architect and is modelled in part on the great mosque of Samarra. The Mosque of Ibn Tulun was completed in April 879 AD, the foundation inscription is still there to read. By 1296 things had changed and the mosque was completely abandoned, the city had grown and this was no longer a desirable neighbourhood. However it was restored a few years later and is in a very good state of preservation to this day. 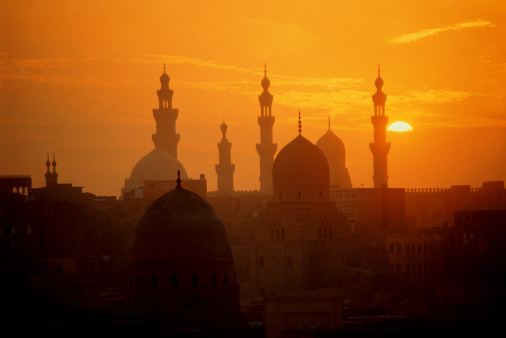 The story of the restoration of the Mosque is interesting, a man was in jail and he promised God that if he was freed and became the ruler of Egypt, he would restore the Mosque and magnify God’s name. He was freed and the rest is history. 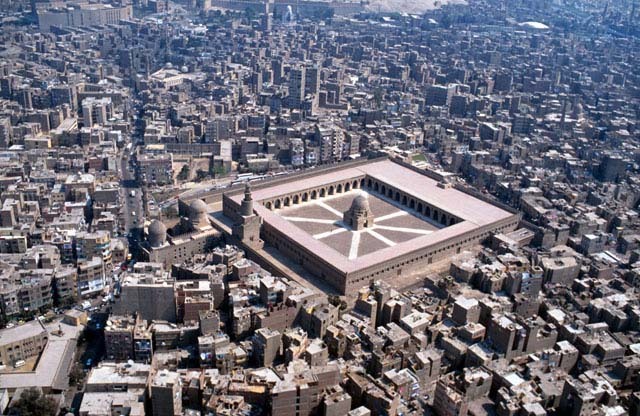 The Mosque of Ibn Tulun impresses by its great size and by the noble simplicity of its plan. Upon entering one is struck by its air of peace and serenity, completely cut off from the noise of the street. The mosque measures 26,318 sq meters or about 6.5 acres and is surrounded by a great outer wall with cresting. It is entirely constructed of red bricks and the whole thing is coated with a fine and very hard white stucco which is decorated. The Minaret is especially fine and very different from any other in Cairo again very reminiscent of Samarra, though you can see influences to the great mosques of Basra and Baghdad. It is built of limestone and is divided in 4 storeys and is 41 meters in height, it has a staircase on the outside which makes one complete turn in an anti-clockwise direction. 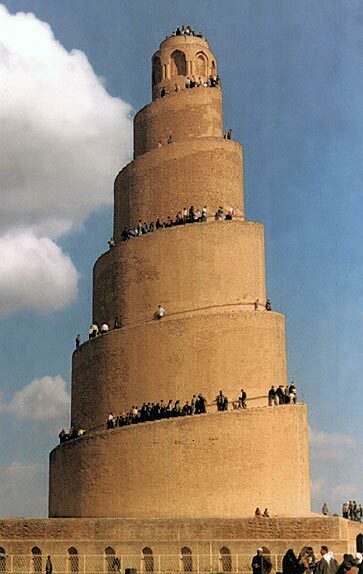 It is agreed that many Iraqi workmen must have worked on this mosque. The decoration style is clearly foreign to Cairo and the mosque does look like a foreign building planted on the soil of Egypt. 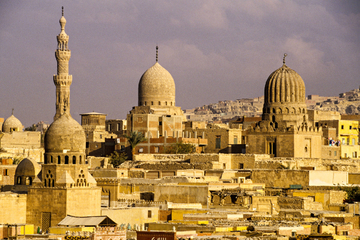 Ibn Tulun was from Samarra and he came with thousands of his countrymen to Egypt. 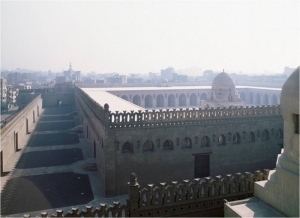 The Mosque of Ibn Tulun is a good example of the Abbasid Empire architecture. An empire that covered a huge area from Samarkand in Uzbekistan to Bahrain. 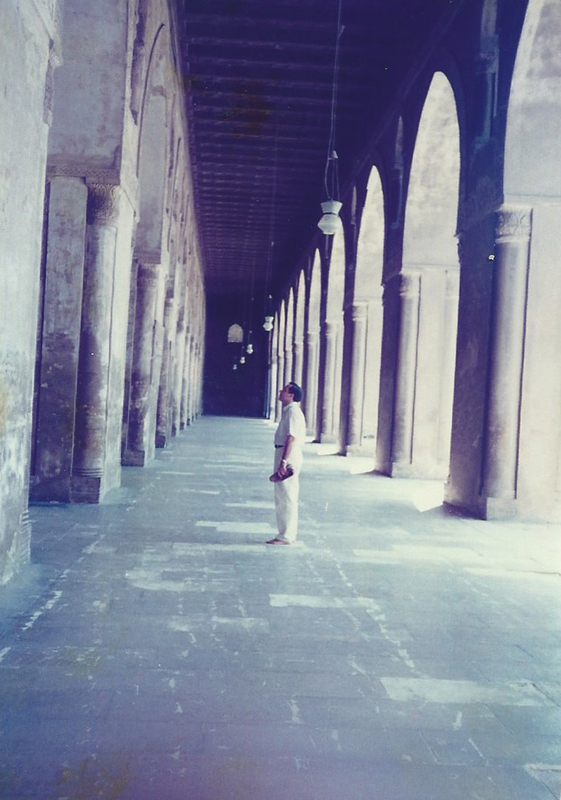 As his customary in any Mosque, I am barefoot. 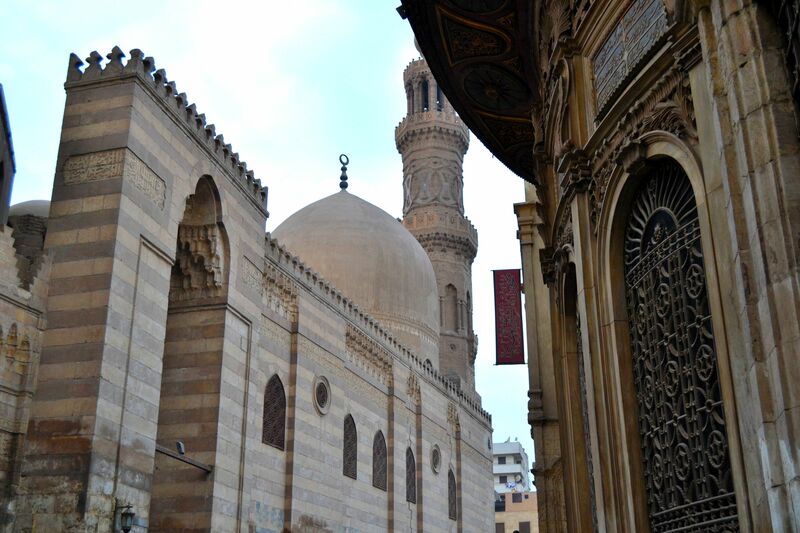 Of course there are lots of beautiful mosques in Cairo all with great stories of their construction. 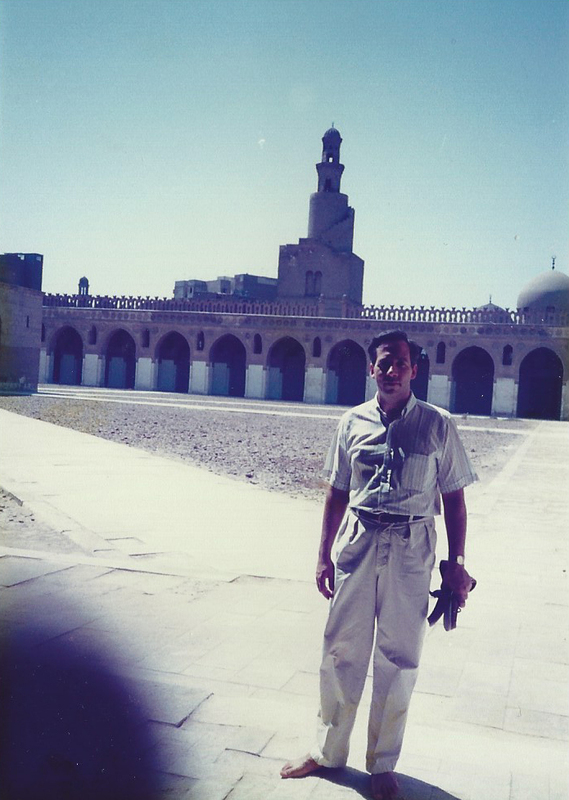 The mosque Al-Rifai holds the tombs of the Royal Family it is also interesting to visit because it also houses the mausoleum of the last Shah of Iran, Mohamed Reza Pahlavi who died in Cairo in July 1980 and received a Head of State Funeral at the time from President Anwar Sadat. The Shah was related to the Royal House of Egypt by marriage, his first wife Fawzia was the sister of King Farouk. 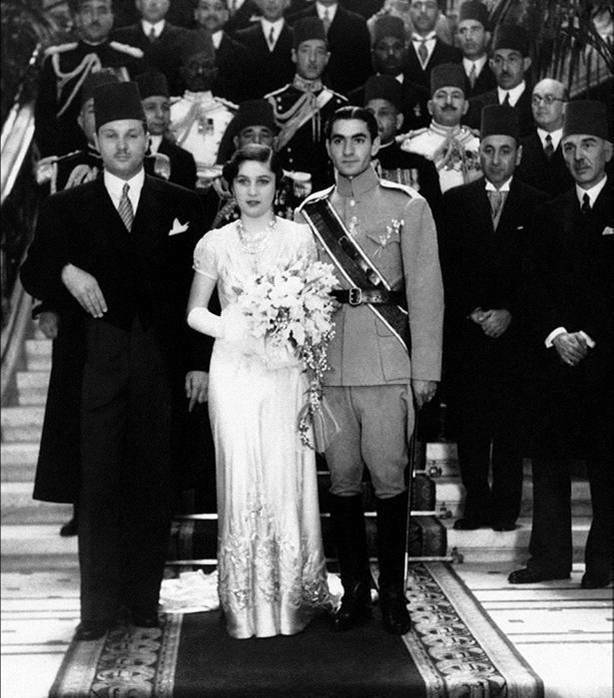 Wedding day in Cairo 1939, King Farouk, his sister Princess Fawzia and Shah Mohamed Reza Pahlavi. 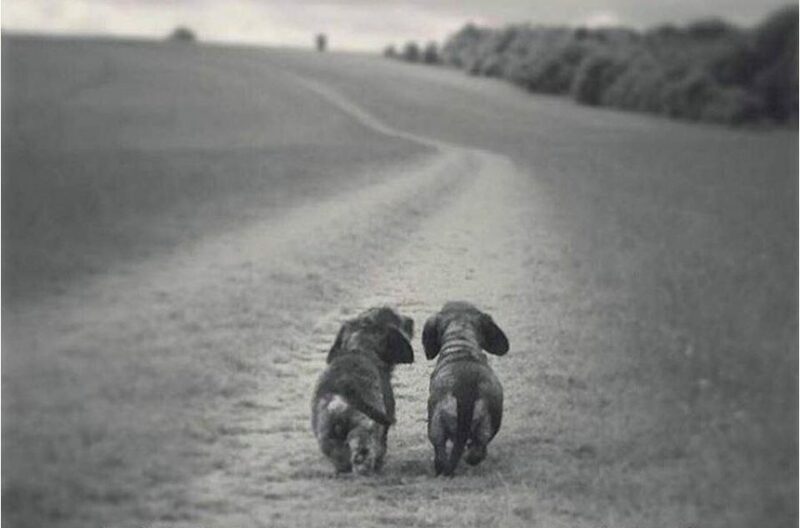 They would divorce in 1948. 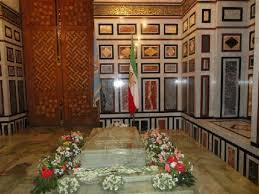 Tomb of Shah Mohamed Reza Pahlavi at Al-Rifai Mosque in Cairo. The flags are his own personal standard and the Imperial Flag of Iran. The tomb is in green jasper stone.